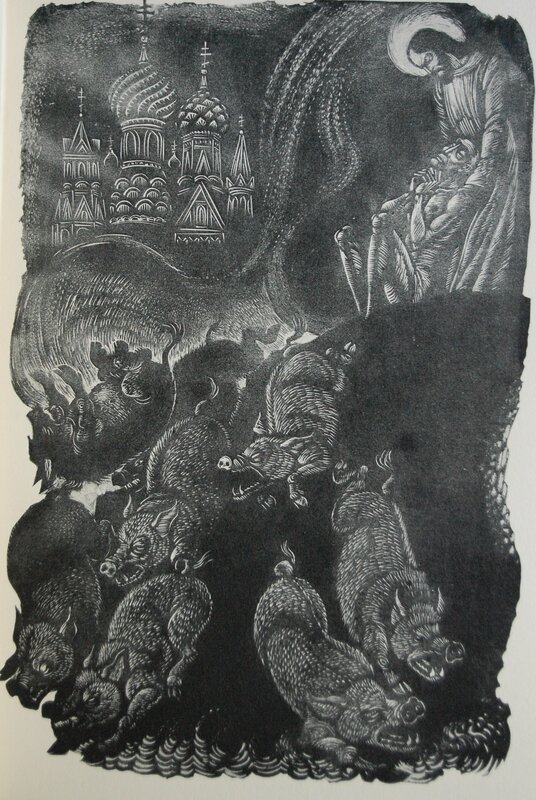 Jerry, I checked the illustrations above against the ones in my LEC copy and did not see a great difference with the exception of the reproduction of the illustration of the Gadarene swine. Although the bulk of the illustration is a close match for the LEC, the swine in the foreground on the Heritage version are remarkably lighter–indeed, it’s much easier to see the detail of their bristles in the Heritage than in my LEC copy, where the foreground is rather inky. The ground to the right of the swine is also much lighter in the Heritage–in the LEC it is a solid black. 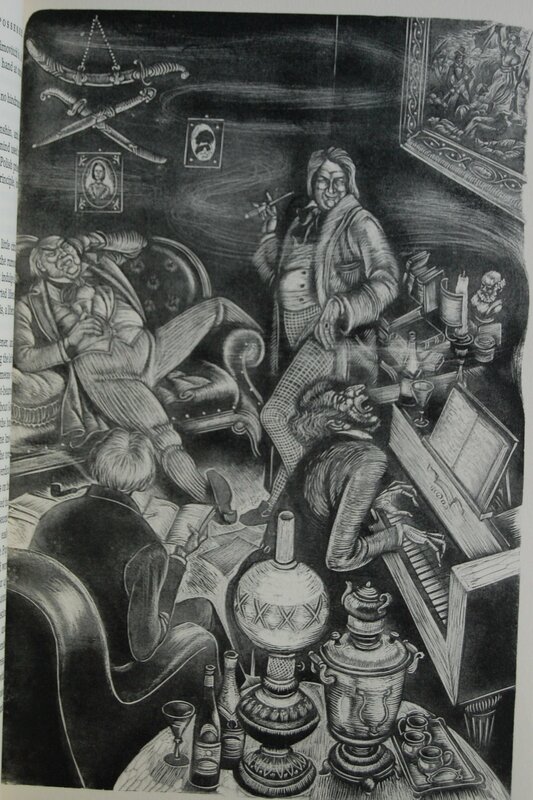 The Meriden Gravure Company also did the reproductions of the engravings for the LEC copy, and they have done many other LEC and Heritage volumes. Thanks for the clarification. I’ll add your comments to the post itself. :) Maybe it wasn’t an error, then. 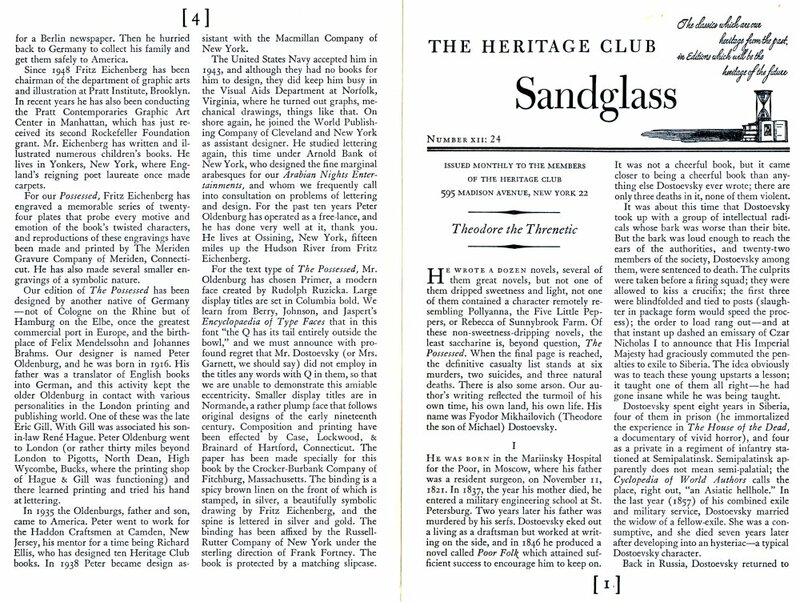 I fortunately found a buyer for my copy of The Possessed, Heritage Club edition. Not that I think it is a badly executed book, but that I am paring down and selling all Heritage Club editions. 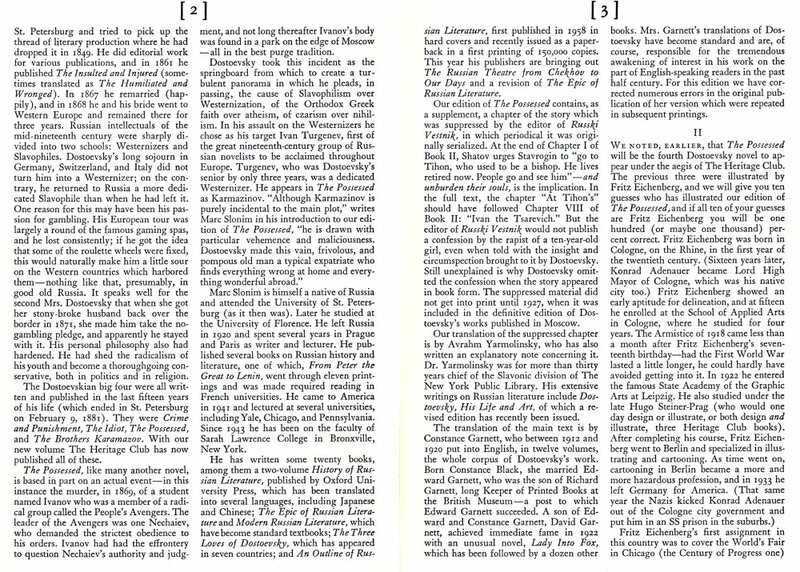 The LEC Bibliography lists Eichenberg’s art as ingravings so I can’t say for sure if they were executed on the stone or as wood blocks, but Eichenberg was primarily noted as a wood cutter. the Meriden Gravure company is a high-quality graphic arts company which provides work for the printing of color and b&w art work from a variety of original sources. the LEC Bibliography lists them as printer, but this is a feature not generally performed by Meriden. 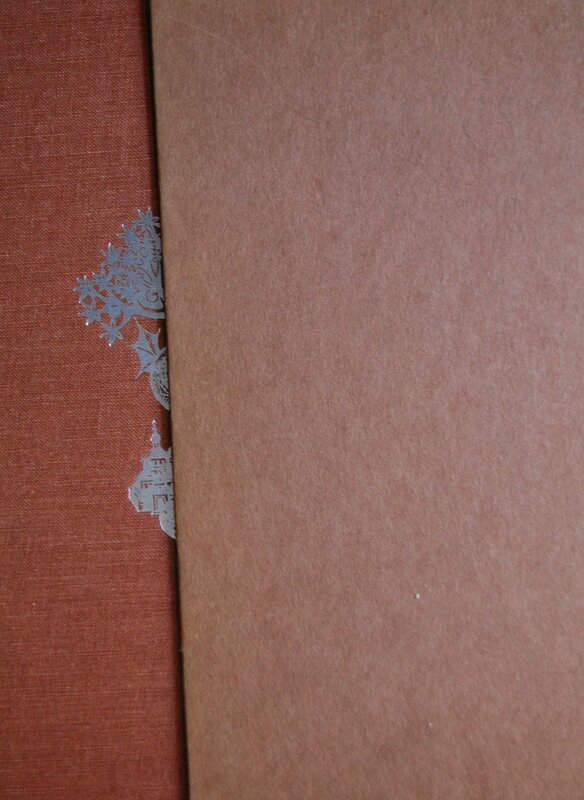 My two-volume LEC was obtained from Charles Agvent several years ago when Agvent’s prices were more in line with what collector’s expected to pay. It was, and still is, in Mint condition. Thank you so much for sending. I have this wonderful book but not the important info on how the book came to be. 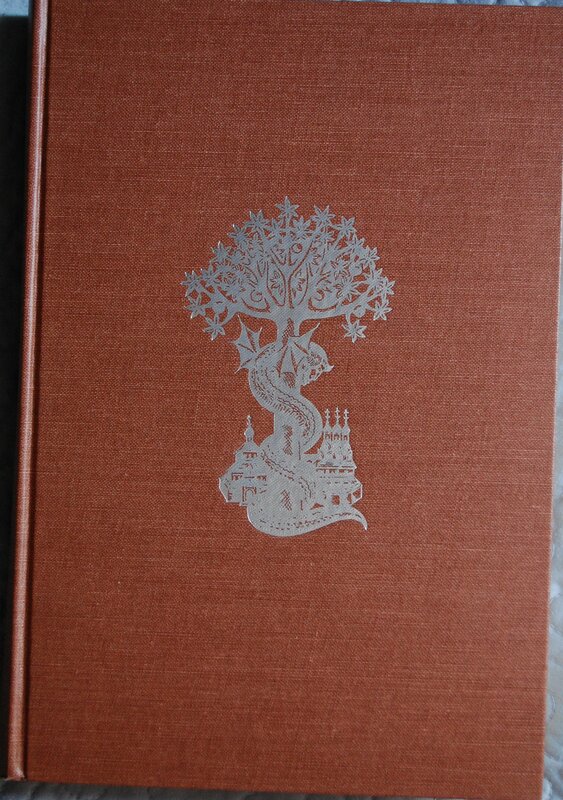 wonderful book and amazing edition! 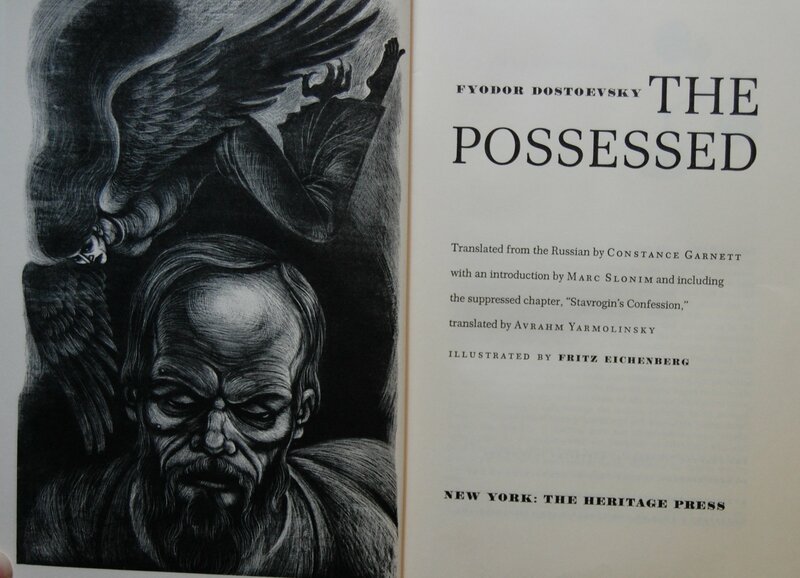 You are currently reading Heritage Press – The Possessed by Fyodor Dostoevsky (1959) at The George Macy Imagery.